This has been formulated to exceed the requirements for the engine, transmission and primary case of your big V-Twin, for use as quite literally, one fluid to fulfil them all! The fully synthetic design of this oil offers the ultimate protection for your motorcycle, reducing wear and carbon deposit build up. Also a heavy treatment of anti-wear additives helps reduce wear regardless of the operating conditions. It is thermally (heat) stable and contains maximum levels of oxidation inhibitor additives. In addition AMSOIL Synthetic V-Twin Motorcycle Oil delivers exceptional protection in transmissions and primary chaincases. It is absolutely shear stable and will not thin out from mechanical activity. Performing like a gear lube, but without the negative effects of extreme-pressure additives AMSOIL V-Twin Motorcycle Oil achieved a perfect score with a “zero” wear rating, in the FZG gear test. HOW DOES THIS AFFECT THE RIDE? 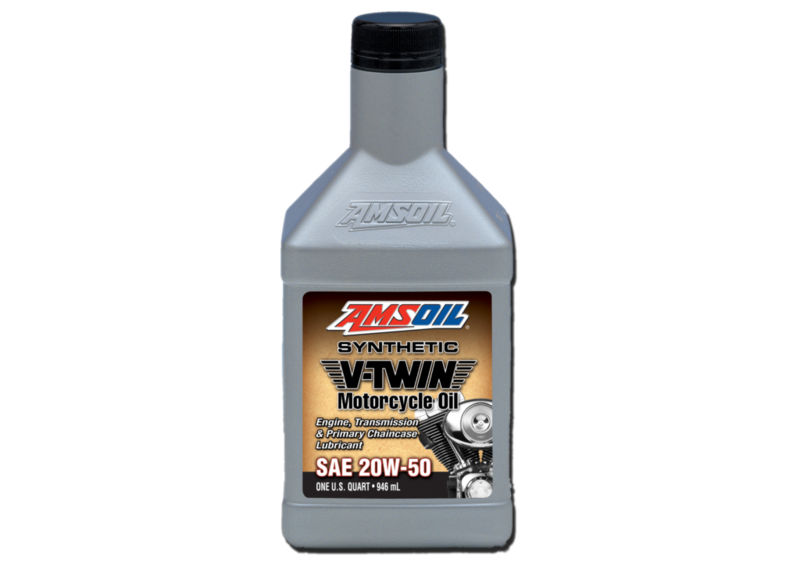 Amsoil 20W-50 Synthetic V-Twin Motorcycle Oil contains no friction modifiers and promotes smooth shifting and positive clutch engagement. It controls heat and helps prevent slippage and glazing, while its high TBN helps improve clutch life by resisting the acids that can degrade clutch material. For use in motorcycles that require 15W-50 or 20W-50 motorcycle oil and any of the specifications listed below, including those made by Harley-Davidson, Buell, Ducati, Aprilia, BMW and Triumph. Do not use where API GL-4 or GL-5 gear oil is required/specified. Recommended for use up to twice the motorcycle manufacturer change interval (miles/hours) or one year, whichever comes first, in engines, transmissions and primary chaincases. For Big Twin Harley-Davidson transmissions only, follow the Harley-Davidson recommended drain interval for synthetic oil of up to 20,000 miles or one year, whichever comes first. SHOULD I BE WORRIED ABOUT MY WARRANTY? You can view this fantastic product HERE, and the full Amsoil motorcycle range HERE. Don’t forget that you can get 10% off anything that you like the look of with the code OPIEBLOG. That’s about it from us for today, we’ll be sure to keep you updated as this range from Amsoil grows. 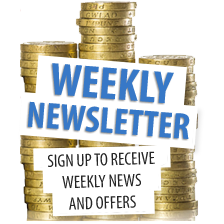 In the meanwhile, if there’s anything that you need, just give us a call on 01209 202 949 or drop us an email to sales@opieoils.co.uk. We’re about Monday to Friday 8:30 – 5:30.